Fit for royalty! Dress up your Christmas dinner with this elegant white and gold centerpiece – or send it as a festive holiday gift to someone you especially treasure. 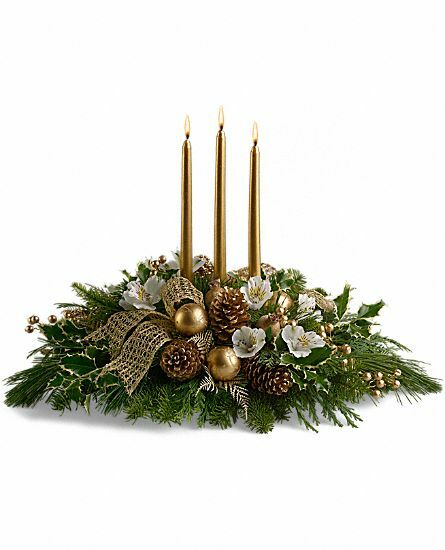 Golden pinecones, mesh ribbon, ornaments and berries echo the golden glow of three glamorous taper candles.